GET READY 420 SEASON IS HERE!! Many people suffer from TMD (temporomandibular joint disfunction). This is characterized by pain in the muscles of the jaw, which can lead to restricted movement, and noises from the joint itself. Some people are predisposed to this by genetics but you can find yourself with this affliction by other means. Things like over use (chewing gum or eating tough/hard food), trauma, and anything that can cause a change in your bite such as the growth of wisdom teeth. TMD symptoms do not stop at just the jaw muscles. There are other muscles affected by TMD in the neck and shoulder area which can lead to impaired movement of the neck and headaches. 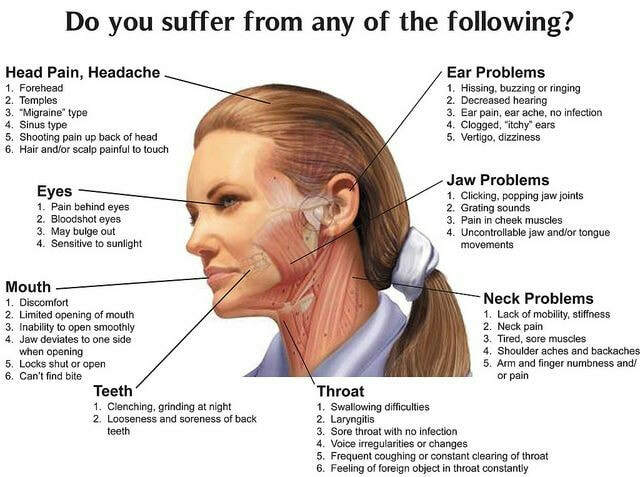 A TMJ massage is a great holistic method of managing this problem. In the medical field, the treatment for this disorder involves things such as pain killers, muscle relaxers, injections, and a splint along with grinding down the teeth to name a few. Consistent TMJ massage can alleviate the tension in the jaw muscles and all the symptoms in association. Once the issue is under control, regular maintenance will help keep the symptoms at bay thereby improving your quality of life.